When I hear the word facial oil or serum, I scream because I have absolutely no idea what they are or what they do! But in the last few months, I have been getting to grips with the skincare jargon and getting on the bandwagon. As they say, don't knock something until you've tried it and when it comes to these two skincare items I stress the exact same thing. Little do you know, they can change your skincare game forever. Firstly, let me state that I am no skincare expert, for the facts and information you need to speak to a professional. I am just blogging about things that have worked for me and that I've discovered. Which brings me on to the next thing, my skin type. It's what you would call combination, oily in the t-zone and dry elsewhere. Sometimes a real pain because what works somewhere doesn't work anywhere else and finding the balance is the hardest thing. But my aim, is to break it down and share as much as I can about serums and oils both in conjunction with one another have transformed my skin. One of the biggest issues I have is acne and scarring so these have been working wonders. So, what is the main difference? Facial oils are amazing for providing the skin with the hydration and nutrition that it needs. They easily absorb into the skin and are packed full of essential oils that sink in and rejuvenate. Serums on the other hand work slightly differently, they have even more benefits! They can brighten the appearance of your skin, help to deal with lines and wrinkles and sometimes even exfoliate. Instead of being oil based they are water based, which means they are full of antioxidants and vitamins and sink even further into the skin. I've learnt this the hard way, but using just a moisturiser is not enough for your skin to be truly hydrated from inside out. Both serums and oils sink into your skin and allow the skin to be hydrated and completely moisturised. Because of this, they are designed by brands to target skin concerns - making it that little bit easier to buy. The best part, if you are prone to breakouts like me, then you can also use them because they work in the exact same way as they would on people with normal skin. This is all dependant on your routine as a whole, its best to apply when skin has been thoroughly cleansed and toned. Its also true what they say, a little goes a long way! You do not need a palm full of product, the tiniest amount will cover and complete your skin. Give yourself a facial massage whilst you're at it and allow the product to work into the skin and then apply your moisturiser. 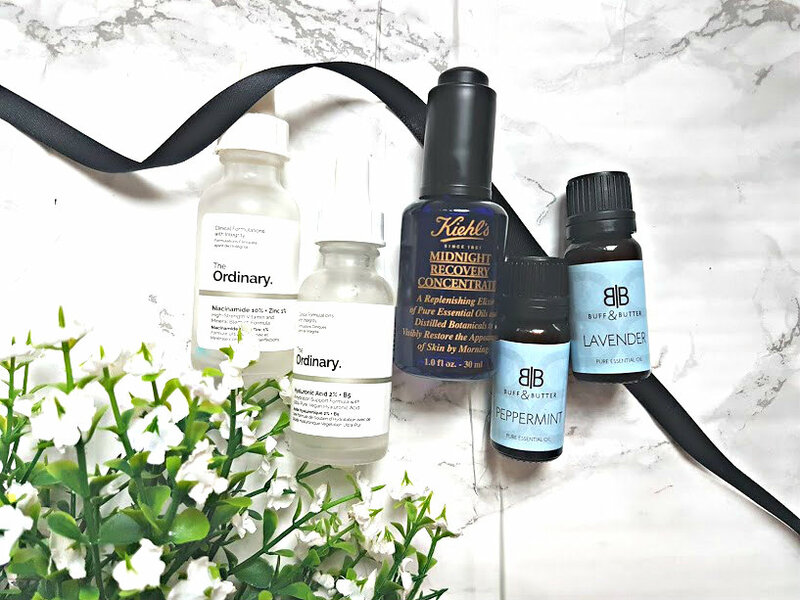 I tend to use serums in the morning as they form the perfect primer before applying makeup and oils in the evening so that my skin can recover overnight and soak up the essentials. Yes, 100%. I wish that years ago when my skin first started having problems that I combated it with oils and serums because then I wouldn't be in this mess now. Serums in the morning have helped with the application of my makeup, giving it a smoother base and a very dewy look. Oils in the evening have completely cleared up active breakouts within a few days, calmed down the redness and helped to fade away acne scars. Thank you to the skincare gods for inventing these magical products, me and my skin love you! Are you a fan of oils or serums? !